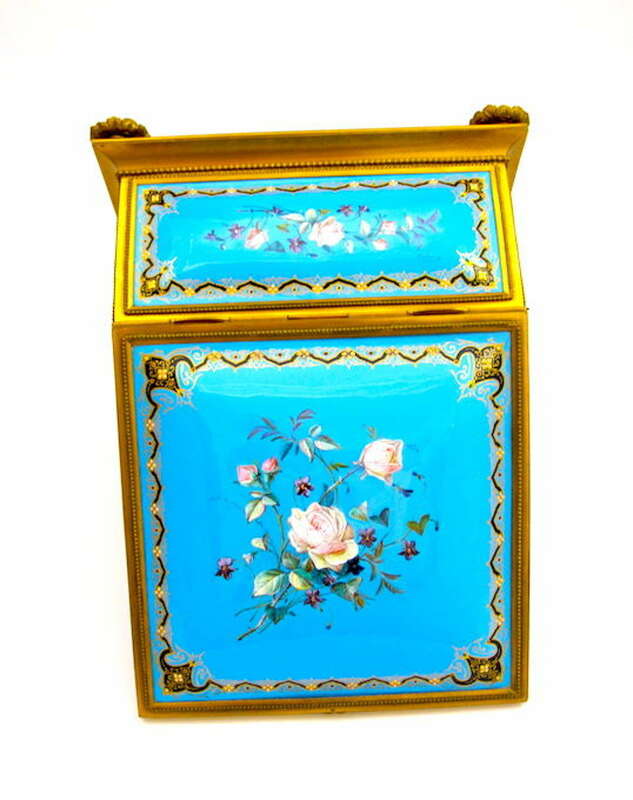 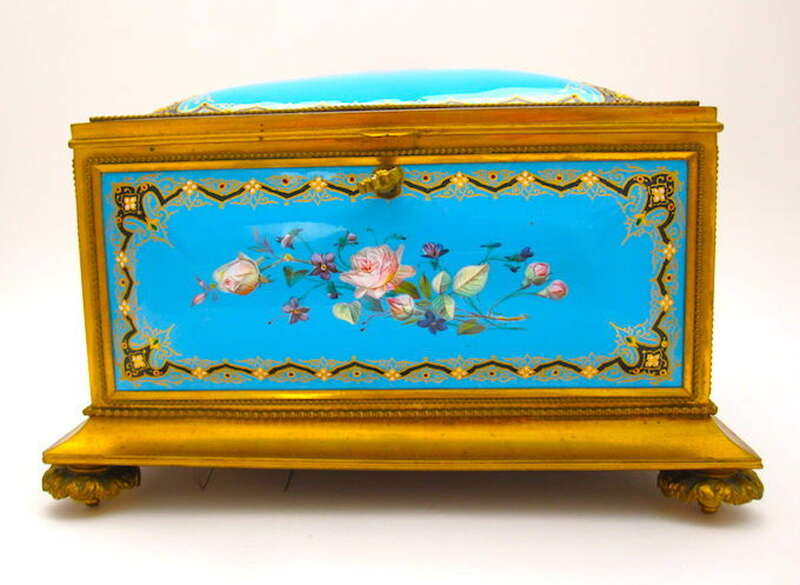 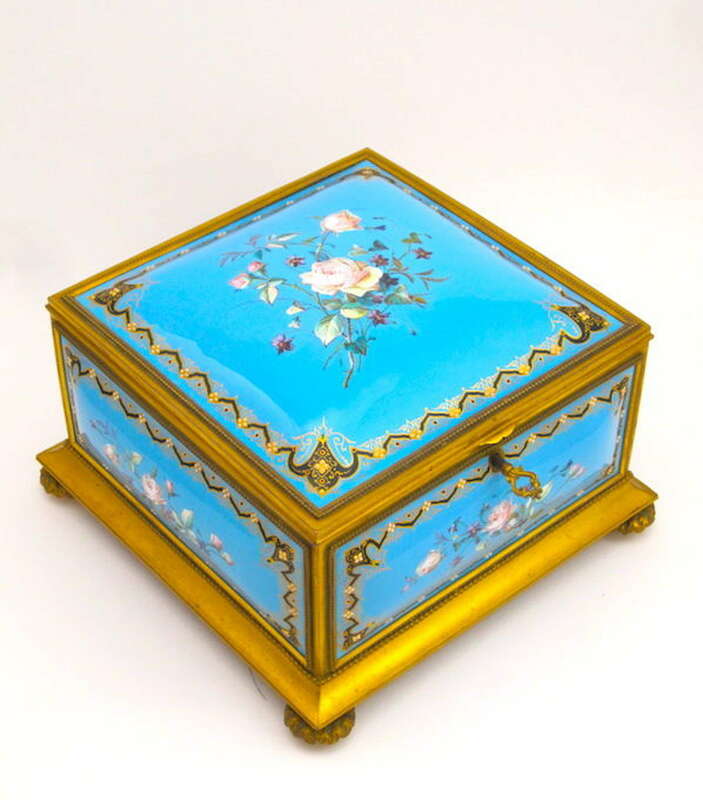 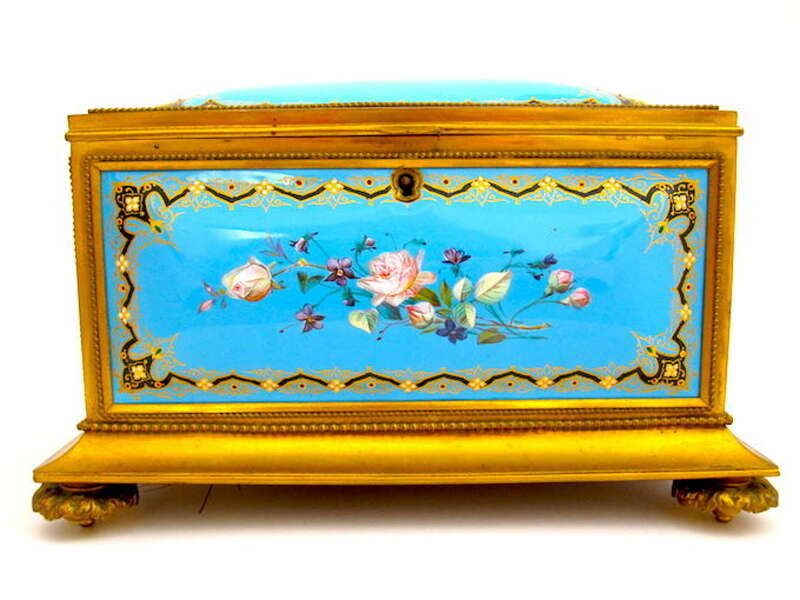 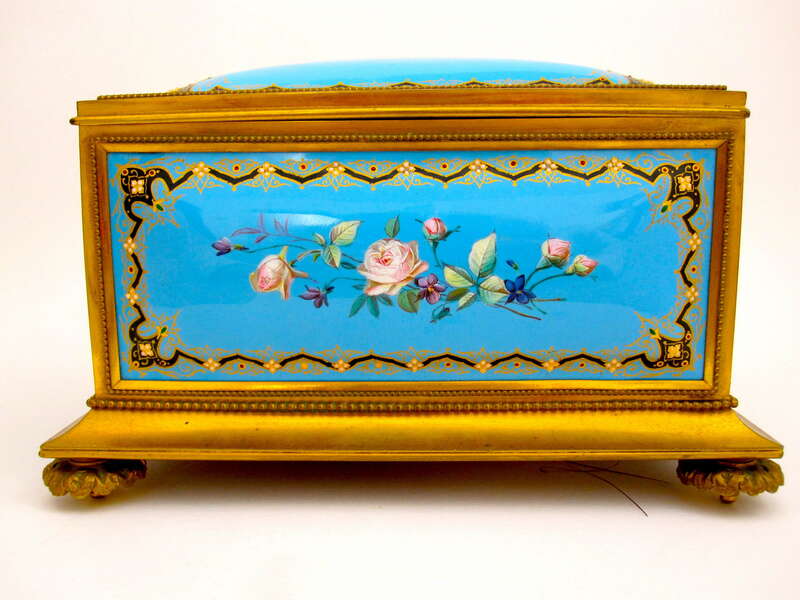 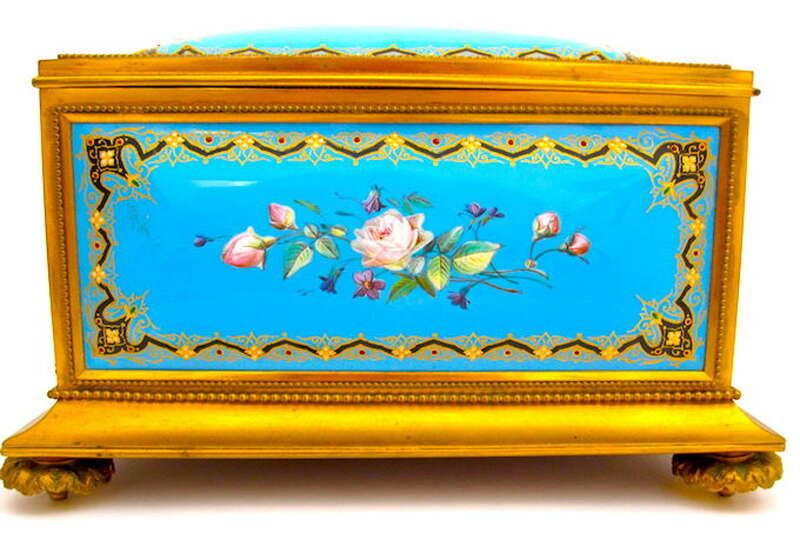 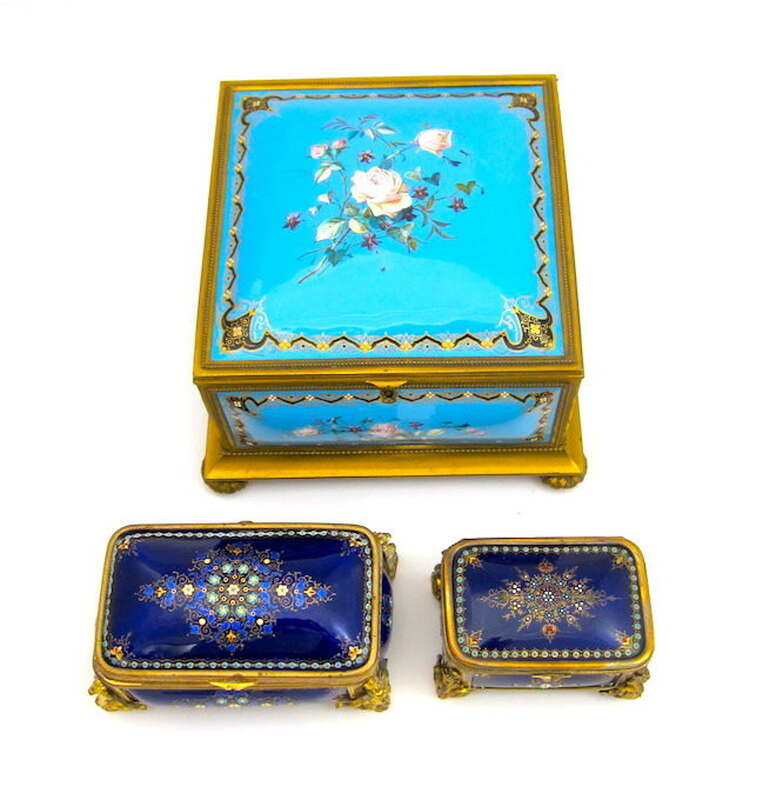 XL Monumental Palais Royal Antique French 'Bombe' Celeste Blue Jewel Casket with Enamelled Panels by Tahan. 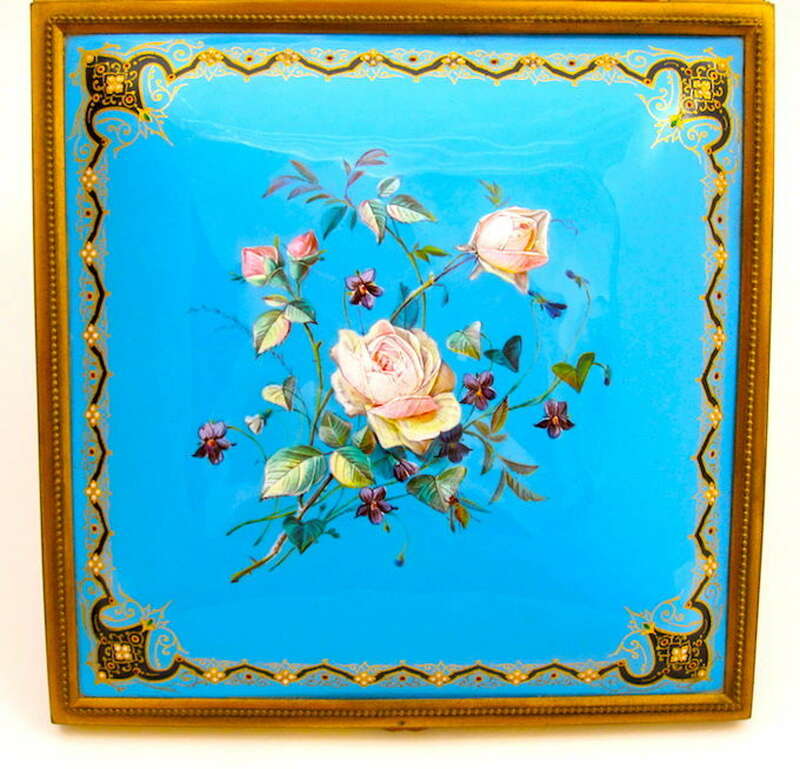 Fine Dore Bronze Mounts Frame Celeste Blue Enamelled Panels with Raised White and Red Jewelled Enamelling. 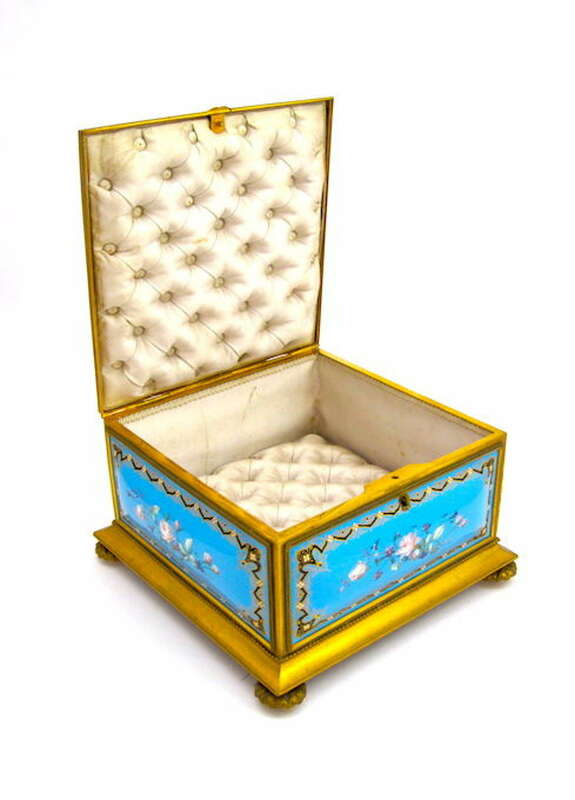 Original Deep-Buttoned Silk Lined Interior and Decorative Bun Feet.